Senior BJP leaders have lined up for rallies and roadshows in Tripura. The BJP is clearly on a mission to expand its footprint in the Northeast during the forthcoming Assembly elections in Tripura, Nagaland and Meghalaya. Going by the BJP’s electoral history and performance, it is clear that it can’t win a majority in any of these states like it managed to do in Assam, but trends suggest that the BJP could emerge as a strong political force in these three states. In Tripura, it could spring a surprise by emerging as the main Opposition party, pushing the Congress to the third force, while in Nagaland and Meghalaya it is certain to emerge as a much stronger political force than in the past. The BJP is certain to increase its support base, voteshare due to the popularity of Prime Minister Narendra Modi in these states, some anti-incumbency mood, especially in Tripura where Left Front, in power for the last 20 years, is now beset with factional fights and splits. The BJP is sure to gain in this region, but that may still not be enough to win elections in these states. While the electoral verdict in the three states may be very different from one another, the likely commonality would be an upsurge of the BJP as a political force in the Northeast. While the BJP does not want to take any election lightly, but if there is one state which the BJP is focused upon, it is Tripura. Senior BJP leaders have lined up for rallies and roadshows in Tripura. Prime Minister Narendra Modi has already addressed few rallies and is set for a roadshow in a few days. BJP president Amit Shah is in Tripura and scheduled to spend a week to campaign, while Smriti Irani, Yogi Adityanath and Ram Madhav are also scheduled to address rallies. The BJP’s presence in Tripura has been very minimal, with less than two per cent votes during elections held in the past. But with defections from the Congress it seems to have managed its position itself as a much stronger player than ever before. Of the 10 Congress MLAs, eight have shifted to the BJP — a clear indication of the latter’s rise. With its alliance with the Indigenous People’s Front of Tripura (IPFT)), the BJP is poised to increase its abysmally low voteshare. The BJP hopes to capitalise on the anti-incumbency sentiment arising due to issues of unemployment, lack of development, partial implementation of the Seventh Pay Commission — issues that were mentioned by Mr Modi in his speech. Mr Modi mentioned what the people of Tripura need: HIRA — highways, I-ways (referring to Internet connectivity), roadways and airways — and his promise to deliver these if voted to power seems to have been received well by the voters of Tripura. But in spite of this the BJP faces an uphill task as the Left seems to be very strong in the state with more than 50 per cent votes in most of the previous Assembly elections which it managed to win. With the Congress hardly showing any sign of upsurge in Tripura, it seems the elections are heading for a contest between the Left and the BJP, more so between Manik Sarkar — the four-time chief minister — and Mr Modi. But given the stability that Mr Sarkar offers, the BJP might find it difficult to win these elections even though it has given a clarion call for change — “Chalo Paltai”. The Prime Minister, with his penchant for grand political speeches, has already set the pitch for the BJP through his rallies — his party is offering development, with a greater alignment with Centre’s big investment schemes, something which Mr Sarkar could find difficult to beat. Internal strife among various tribal outfits could however dent the share of votes that either party receives, meaning that the election is as much about the big guns as it is about the smaller tribal leaders and their loyalists. 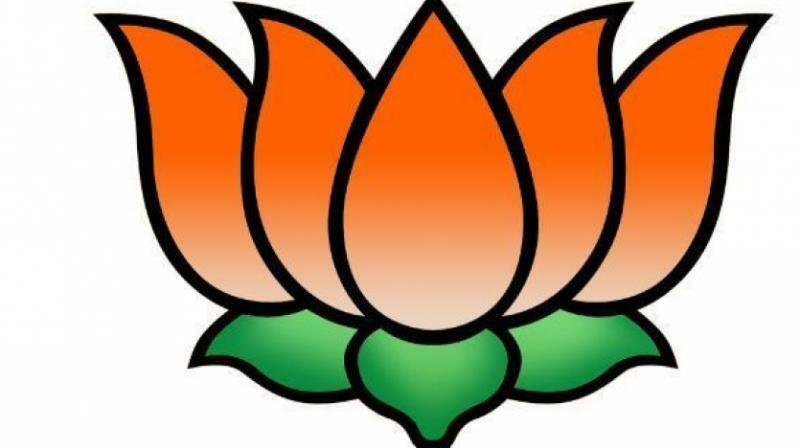 The BJP hopes to make inroads in Nagaland politics mainly at the cost of weakening of the only dominant, and ruling party of Nagaland, the Naga People’s Front (NPF). The NPF won the 2013 Assembly elections, convincingly bagging 38 of the 60 seats with 47.1 per cent voteshare. But recent factionalism has weakened the party. Ex-chief minister Neiphiu Rio has defected from the NPF and formed his own party, the Nationalist Democratic Progressive Party (NDPP). A few days ago, the BJP announced that it had parted ways with the NPF and had joined the NDPP, with an arrangement where the BJP would contest 20 seats, and its ally the remaining 40. Recent reports also suggest that the Congress might be inching towards an informal understanding with the NPF; it is clear that the turmoil within the NPF-NDPP might help the Congress and the BJP to further their own gains, even as shifting tribal alliances adds to the uncertainty of the pre-poll environment. The Assembly elections in Meghalaya seems to be heading for a direct contest between the Congress led by Mukul Sangma and the National People’s Party (NPP) led by Conrad Sangma, which is in alliance with the BJP government at the Centre. In the fragmented electoral scene of Meghalaya, it is difficult to say which party might win elections, more so when the state has witnessed instability and frequent change in the government during last 18 years. The state has a history of defections from one party to another and these should not be understated as it impacts parties’ winnability. There are leaders who win not because of their party but more on their own, and defections of such leaders makes a huge difference to the electoral outcome. Recently, NCP leader Marathon Sangma and four independent MLAs announced joining the Congress, and just a few days before that five Congress MLAs quit the party to join the NPP. The BJP, which has a smaller presence in the state, would want to stitch-up a post-poll alliance with the NPP and wrestle another state from its chief political rival. The Congress is going to be on the receiving end in Nagaland, Meghalaya and Tripura. While in Nagaland and Tripura it would be interesting to watch if it is able to hold on to being the largest Opposition party or will concede even that to the BJP, in Meghalaya the stakes are bigger. Even as the Congress would want to hold on to one of its last states, a certain upsurge in the BJP’s popularity in the Northeast is what we may be heading for.